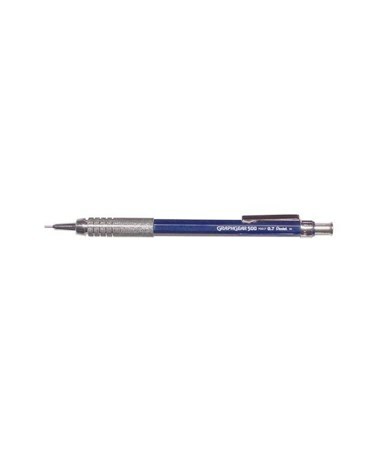 The Pentel GraphGear 500 Automatic Drafting Pencil is a functional pencil designed for accuracy and comfort. 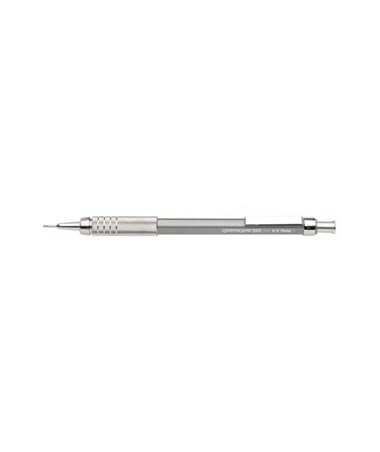 Featuring a four-millimeter fixed sleeve, it allows use of rulers and templates while maintaining precision in every drawing. Its slim, beveled barrel provides easy and comfortable grip. This automatic drafting pencil is equipped with a metallic mesh finger grip for total writing control and a metal pocket clip for accessibility. 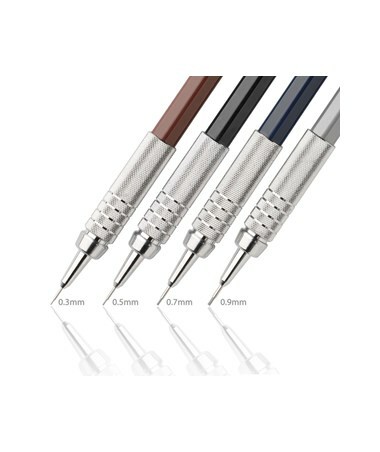 It is pre-loaded with a Super Hi-Polymer HB replaceable lead and is supplied with a refillable eraser. Both lead and eraser refills can be bought separately. AP certified by ACMI, this pencil is non-toxic and latex-free. 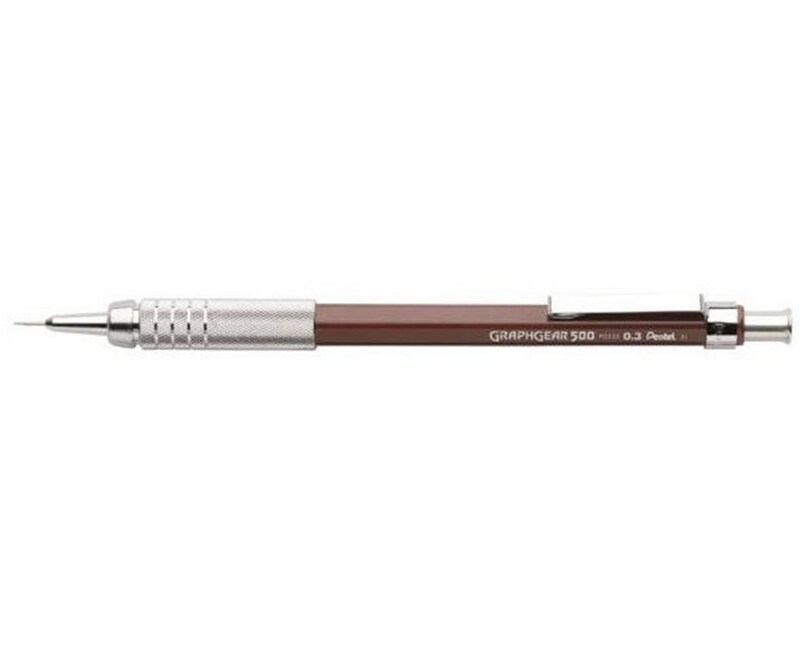 The Pentel GraphGear 500 Automatic Drafting Pencil is available in four lead sizes to accommodate a wide range of drafting applications and template works. It offers 0.3-millimeter, 0.5-millimeter, 0.7-millimeter, and 0.9-millimeter line widths. Each size comes in different barrel color for easy and quick identification. 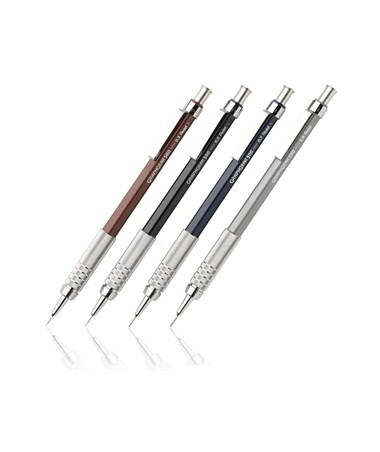 The Pentel GraphGear 500 Automatic Drafting Pencil comes in four different lead sizes and barrel colors. Please select your preference from the menu above.